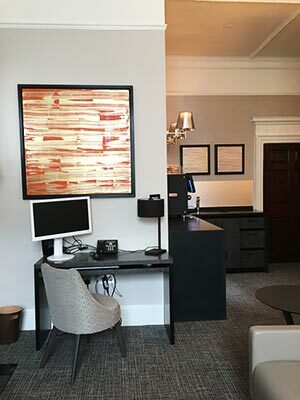 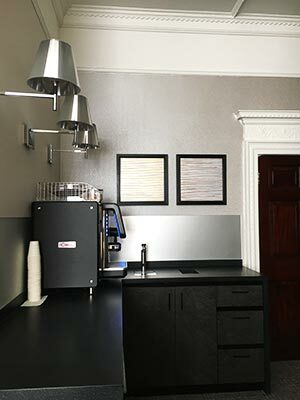 As part of an ongoing project Art Contact was asked to supply artworks and accessories for the new Doctor’s Lounge at the Harley Street Hospital. 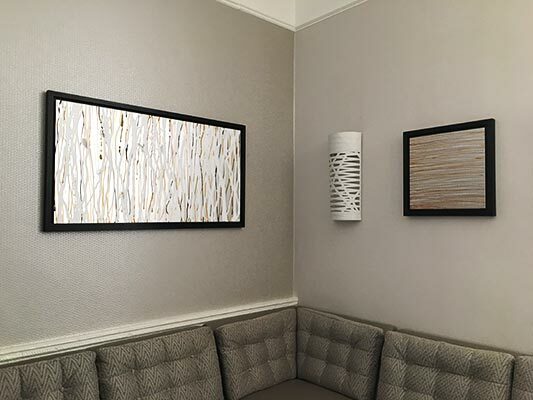 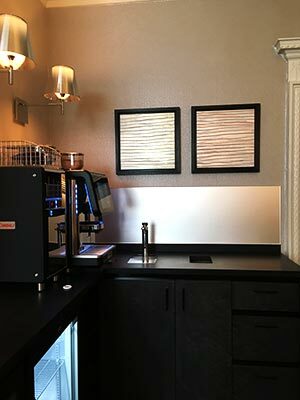 Julia Brooker was commissioned to produce a number of her abstract paintings on metal using a colour palate to match the interior of the Lounge. 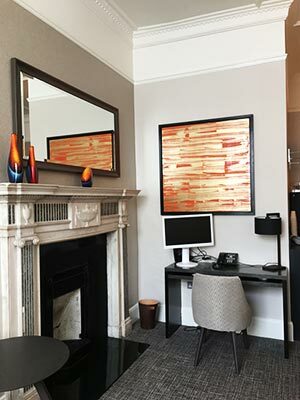 These paintings were then framed in a Wenge tray frames. 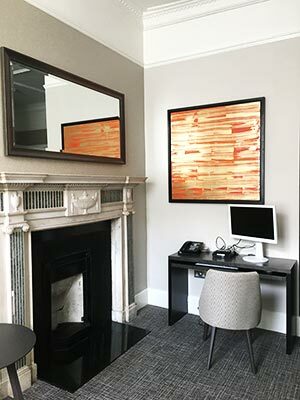 As well as the paintings we also supplied a mirror, soft furnishings and other accessories to help create a suitable atmosphere for this lounge.